Looking for inspiration on how to develop a communications guide? 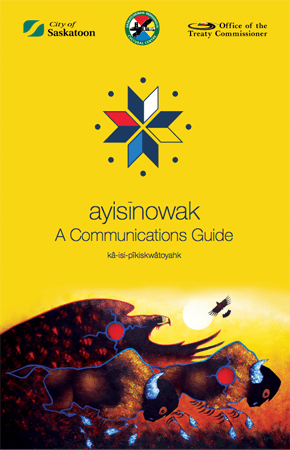 ayisīnowak: A Communications Guide is a really great example of a communications guide for local governments working with Indigenous Peoples. We are sharing this with permission of the City of Saskatoon, on behalf of Saskatchewan Indigenous Cultural Centre and Office of the Treaty Commissioner. Just fill in the form to get your copy! And please share with colleagues, family and friends - we don't mind because we believe that by sharing knowledge and information through our training, blog and free resources we can make the world a better place for Indigenous and non-Indigenous people.